Another election season with another opportunity for Republicans to regale us with their version of reality some might call fake history. In the 27th District we have one such Republican in Mr. Byron, but fortunately we have a great alternative in Gary Turco, the Democratic candidate. In defense of my opening statement I point out that Mr. Byron took credit for a land transfer from the state which happened when my wife, Sandy Nafis, was our representative, over four years ago. This shows either a total lack of concern for the facts or a total lack of understanding of what is happening in Hartford, in either case not a good sign for our representative. His claim to save the middle class contrasts with his actual voting record. His support of the Republican budget bill (Public Act 17-1) included among other things large cuts to our public colleges, cuts to numerous small business assistance programs and would have lifted the statewide cap on car taxes. He also voted to gut a bill protecting preventive health care services for women (House Amendment B, Republican Amendment to HB 5210), against pay equity to protect workers and create fairness (PA 15-196), and to sunset net metering opportunities, which allows customers who generate their own power to realize savings (SB 9). Another source of deception is the Republican stance against tolls on some of our highways, which they keep saying is a tax. A tax is a levy on the general population to fund public activities. A toll is a user fee that vehicles using the road pay to assist in the construction and maintenance of that facility. I always thought Republicans were in favor of that kind of revenue enhancement, but whether you’re for or against tolls you shouldn’t publicly mischaracterize them in your political rhetoric. A debate with Gary Turco would give Mr. Byron the opportunity to explain what appear to be discrepancies between his talk and his actions. I can say from experience, being involved in seven re-elections and four debates, that it is important for a sitting representative to be willing to defend their record in an honest debate before the public. Claiming that your public duties make that difficult is simply not true. What would be more accurate is a reluctance to face your opponent where you would have to defend your positions rather than relying on sound bites and misleading literature. When my wife retired, the town lost a good solid voice at the legislature who was responsible for many positive outcomes for our citizens. We can get that kind of representation again by getting out on Nov. 6 and electing Gary Turco to represent us. I met Gary Byron at a meeting celebrating the small businesses of Newington in 2016. He was friendly, open and inviting. His enthusiasm spread throughout the room as he excitedly discussed the small businesses of our town, old and new. He described ways in which he was thankful for them and ways he planned on supporting them in the future. I have seen him keep his promises. As a woman, starting Sarah Speaks Up for domestic violence awareness, with just passion and a dream, I needed all the support I could get. Gary has attended fundraisers, purchased my book and spoken on my behalf, creating necessary connections so that I and my organization can better serve our community. He has become an advocate, resource, supporter and friend. I stand by him fully as we approach the upcoming election. Politics can bring out the best and the worst in us, but I’ve looked into Gary Byron’s eyes as he’s spoken of his passion for this town. Newington has benefited from his tireless support in ways we cannot fully know and I, for one, am grateful. Let’s vote to keep Gary Byron as our state representative. Vote local. Vote Byron. I write this in support of Gary Turco. His resume is impressive. Gary holds a bachelor’s degree from Sacred Heart University and a master’s degree from CCSU. He gained government experience as a policy analyst at the state Capitol. He worked in the private sector as a small business development manager for international tech startup companies. And he has recently volunteered in Uganda, Africa as a primary school teacher. In Newington he has served on the Economic Development Commission and the Town Planning and Zoning Commission. Gary is upbeat, positive and approachable. He has walked many miles this fall going door to door engaging residents in discussion. He has thoroughly enjoyed meeting so many of you and he has listened! He has heard your concerns and offered you some of his ideas and potential solutions. If you have not yet had the opportunity to meet Gary, seek him out, ask questions, share your insight. Our state and town are facing very challenging times. Changes need to be made. We need new leadership. We need a person with intelligence and integrity who can work on both sides of the aisle to bring a new, innovative approach to governing. Gary Turco is the change Newington needs. Vote for Gary Turco for State Rep. on Tuesday, Nov.6. With unemployment at its lowest point in almost 50 years and record Dow Jones closings, one might say that the economy is booming. But Connecticut and its municipalities are struggling with budget issues. We need a state representative who will fight for Newington. Gary Byron is the best individual for the job. He worked with the entire Newington delegation in procuring $1.5 million in a state grant to offset costs of the diesel fuel spill in town – a true bipartisan effort. He worked to restore $2 million of the $3 million cut to education made by Governor Malloy. Byron is a ranking member of the legislature’s Aging Committee. He helped to restore the Medicare Savings Program and wrote a bill to help out with senior citizen transportation. Vote for Gary Byron, he will persevere in supporting our great town. In Newington, your ballot will have three choices for Registrar. You only pick one when you vote. The candidates are Marie Fox, incumbent Democrat. Another is Linda Cultrera, incumbent Republican. Both have done excellent work serving this town for many years and both have been endorsed by their local political parties. You also have the option to vote for a petitioning candidate. This candidate is a registered Republican. This is a bit of an unusual situation for this specific town position, though it is also happening in Wallingford. 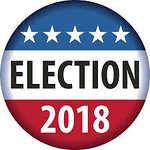 Because Mrs. Fox and Mrs. Cultrera are both the endorsed candidates, they are both guaranteed to serve as Newington’s Registrar after the election. They will earn a salary, and also appoint a deputy who will also receive an hourly wage. However, if the petitioning candidate finishes in first or second place, then the town of Newington will add a third (and unnecessary) registrar. This person will also earn a salary, and have the ability to appoint a Deputy who will also earn an hourly wage. Newington does not need a third registrar, nor does it need the added expense it will take to appoint that person and their deputy. This information was confirmed by our local government officials as well as the Secretary of State’s office. I hope you’ll consider voting for Marie Fox (Democrat) or Linda Cultrera (Republican) for Registrar on Nov. 6th because Newington doesn’t need three registrars. This election, this town is not just voting on state level seats. We also will be voting for the town position of Registrars of Voters. I am writing in favor of seated Registrar Republican Linda Cultrera. Linda has held this position with the endorsement of the Republican Party for the past 23 years and has done a great job making sure each voter, regardless of party affiliation, can exercise their right to vote. Linda has lived in Newington since 1978 and raised her two children here and now her three grandchildren are being raised in this town as well. So clearly Linda has deep roots in Newington. She has always emphasized the importance of putting the voter first. The integrity of the election has always been at the top of Linda’s list. When voting on Nov. 6, remember, a vote for Linda is a vote of confidence and experience that this town has always appreciated, probably without even realizing it. One of the many reasons Gary Turco has earned my vote for state representative is his commitment to reducing gun violence. I was horrified to learn that our current representative, Gary Byron, voted to weaken a bill aimed at protecting domestic violence victims from gun violence. If you are shocked or in complete disbelief that anyone could cast such a vote, please see the Republican amendments to Public Act 16-34. Gary Turco is committed to protecting the most vulnerable among us while still respecting Second Amendment rights. Without question, he has my vote. I’ve seen statements over the last few weeks saying that Newington isn’t being represented fully in Hartford and I wish to set the record straight. Over his past two terms, there wasn’t a day where Gary Byron wasn’t there for Newington. He helped defeat Governor Malloy’s bill that would have subjected parts of town to eminent domain from the state. Additionally, he helped restore $2 million in cuts from the town and worked with other members of the town delegation to get funding for the diesel fuel spill cleanup. Rep. Byron has always been there for Newington and its citizens. He should continue to be the voice of our community in Hartford. If you live in Newington, specifically the 27th District, please make a point to get out and vote for Gary Turco on Nov. 6t or if you still have family in Newington encourage them to do so. I’ve been out canvassing with him every Monday for the last few months and from that alone I can say with confidence that Gary Turco is someone who will work hard for the town and state, but beyond the work ethic he’s someone who will work smart, he’s someone who understands policy and how to work to build consensus. It’s important that we have people representing us who grasp the big picture, people who will work to implement progressive values but also someone who will fight for Newington’s fair share of municipal funding from the state. We need thoughtful representation that will be more than just a rubber stamp vote for whatever their party affiliation is pushing. We need to get away from personality politics and actually engage the ideas at play and in doing so engage the consequences of failing to take responsibility for our commitments both human and fiduciary. But we also need people who won’t mis-represent themselves to maintain their winning facade of amiability, people willing to step up to the mic in a forum where they can’t obscure the facts thru carnival style sleight of hand and showmanship. We need people with character. Gary Turco is who we need representing us in Newington. I am writing in support of Gary Byron’s reelection to the House of Representative for his third term. In his first two terms Gary has represented Newington well and I believe he should continue to do so. For the last four years he has never missed a vote, which demonstrates how hard he works for all of us here in Newington. I am especially thankful that he fought to restore the Honor Guard at veterans’ funerals and the way he advocates for the families and individuals with developmental disabilities. Gary Byron is not someone who just showed up in the last few months, but he has grown up here, and has always been active in our town. He stood beside us and worked with us to make Newington a place we can all be proud of. We need to support him and return him to Hartford to continue fighting for our Town. Please join me in voting for Gary Bryon in November. Would you like a dedicated state representative? Someone who is committed to represent the people of Newington with diligence and perseverance? Then, vote for Gary Byron. He has had a perfect attendance record and has not missed a vote in his four years in the legislature. A very accessible person, he has attended nearly every town event each year while in office. His frequent coffee hours and legislative round tables held at the Lucy Robbins Welles Library allow voters to express their opinions on key legislative issues. Send Gary Byron back to the state legislature to continue his zeal to do the right thing. You will not be disappointed! I hope you will join me in supporting Gary Turco. Gary is a Newington homeowner and a graduate of CCSU. He understands Newington’s needs. He has worked for non-profits, government and small businesses. I know he will fight for our town. Under our current representative, Gary Byron, Newington has lost millions of dollars in state funding. Last year, Newington had over three and a half million cut in state aid that caused our property taxes to increase. I know Gary Turco will fight to make sure we are receiving our share of state funding. When Newington obtains the state funding we deserve our property taxes will be reduced. Besides our property taxes, this money also helps our schools and helps with our town services. Nov. 6 is coming up soon. Please join me and vote for Gary Turco. Newington voters, it’s time for change. Since the incumbent representative was elected in 2014, he cannot, in all honesty, point to any real accomplishments that have benefited our town. We need to elect Gary Turco as our state representative. While Gary has not served as an elected official, his experience as a legislative aide at the state Capitol has already proven helpful in crafting policy, and writing legislation that has, and will, serve the state of Connecticut, and the Town of Newington, well. Mr. Turco is a Newington homeowner, and has served on the Town Plan and Zoning Commission, and more recently on the Newington Economic Development Commission, already surpassing the incumbent, a lifelong resident, in pre-election accomplishments. He has also traveled extensively, and has observed, and taken note of what works, and what doesn’t work in other communities. Gary has also taught students in Africa, as a volunteer, and in doing so, has made a number of friends for the United States of America, not an easy task with the kind of leadership we have in Washington. Please join me in voting for Gary Turco on Election Day, November 6, and don’t forget to bring some unperishable food goods for the Newington Food Pantry. I am writing on behalf of Gary Turco. For too long we have sent “nice” people to the Capitol, never really considering if they were the most qualified people to make serious decisions for us. Look where this has left us. … We are overwhelmed with debt, we have a broken economy, crumbling infrastructure and no one is taking responsibility. This election you have the opportunity to vote for a “nice” person who is extremely qualified to represent the residents of Newington. Turco has a master’s degree from CCSU. He was a small business manager for technology startups. If we are to grow CT‘s economy small businesses and technology will be the keys. He was a policy aide at the Capitol where he learned that building consensus is critical. Turco challenged his opponent to debate ideas and he declined because he was “too busy.” Too busy to let the voters hear the truth? This time make your vote count. This time bring more tax dollars back to Newington. This time don’t vote for D’s or R’s. This time vote for yourself. This time vote for Turco. We have been working for the Newington Registrars of Voters as absentee ballot counters for a number of years, and can, without fear of contradiction, that our Registrars conduct themselves, and the operation, in an honest, forthright and well organized manner. We are re-trained before every election, and primary, and quizzed after those training sessions to make sure we understand the procedures. We are also given the state manual for absentee ballot counters as an additional reference. We are familiar with the areas of Section 9 of the Connecticut General Statutes that pertain to absentee ballots and their counting, one of which states that the Registrars determine when the ballots will be counted. Our registrars ensure that all ballots are verified as legitimate before the count begins, usually right after polls closed, at the Registrar’s discretion. We understand that a particular comment on social media falsely claimed that they must be counted “before 8 pm”, and that is false. Every absentee ballot is fed through the machine, which deposits them in the ballot box, and afterwards all ballots are placed in a secure area, under triple lock security. While we, in particular, work for Marie Fox, both Registrars always work hand in hand to ensure an impartial, accurate, timely and honest count of all absentee ballots received and certified by the Town Clerk’s office. Too many cooks spoil the broth, so let’s leave the system the way it is, and don’t forget to support the food pantry. Thank you. Posted in Newington Town Crier, Newington News on Thursday, 1 November 2018 07:56. Updated: Thursday, 1 November 2018 07:59.